Workshop Series: Tall Cabinet with 2 Doors. This is a part of our new modular storage systems which can be bought separately or in combination with other models. 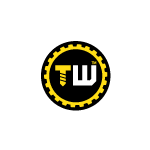 Established in 2015, Toolwarehouse is an online retailer based in Cyprus. Currently the brand offers a wide range of professional automotive tools and equipment, but also heavy duty cabinets and storage systems. In addition, Toolwarehouse brand can be found in shops and garages in Cyprus but also in different European markets. Constantly advancing product quality, our brand makes sure customers get the finest product at a reasonable price. The brand makes great efforts to Innovation product development in an ever-changing global market. But in the meantime, we look forward to develop good relations with customers and clients globally.